Hello everyone! My name is Kasho. I was born into a calligraphy artist family. I taught calligraphy for the local residents when I was staying in Michigan, the United States. I have more than 30 years of experience of teaching and creating artworks. My friend and I both had a fantastic time learning Japanese Calligraphy with Kyomi this morning. The class was easy to follow and you get to keep your work at the end! Kyomi was patient and encouraging. 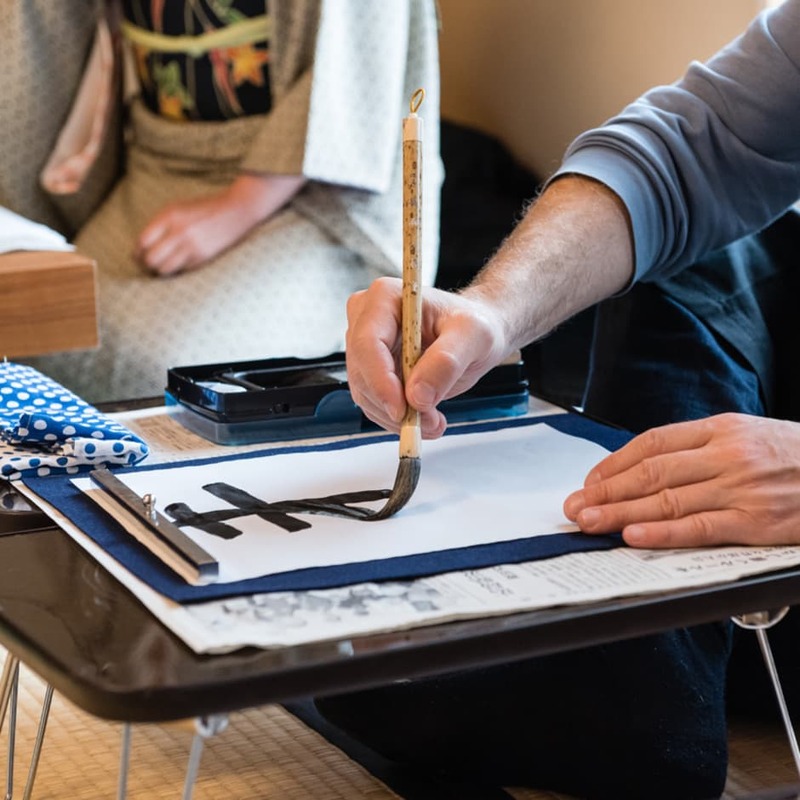 We'll definitely recommend this class to others traveling through Kyoto looking to do something similar! Thank you very much for the everything and great experience that you offered to my dearest friends. They were, i guess you know it better, very happy with their calligraphy course. I am so glad that it worked out well. When i visit japan, i will surely pass by and experience it for myself, it will be most probably a cooking class; that would be the right fit for me. All the team has been very communicative and supportive! a special thanks for them, too.